Taipei, the capital of Taiwan, has always been the island’s most prosperous metropolis. Crowned by towering Taipei 101, this bustling city includes historic sites and Chinese imperial treasures at the National Palace Museum. Now, pushed along by Lin Chung Chieh, the Commissioner of the Department of Economic Development in the Taipei City Government, this Asian capital is also becoming a new paradise for entrepreneurs. “Taipei startup ecosystem has changed rapidly in a positive way,” Lin said in an interview with Business Next. Lin believes a major way for to Taipei compete with other global cities is through improving its startup ecosystem. He is now set to be in his post for the next four years after his boss, Taipei Mayor Ko Wen-je, won a second term in Taiwan’s recent municipal elections. Caption: Taipei, the capital of Taiwan, has always been the island’s most prosperous metropolis. Taipei is now home to more than 3,500 registered foreign companies and more than 76% of Taiwan’s foreign direct investment, Lin says. Besides startups, other technology giants, including Microsoft and Google, have also set up their research and development offices or AI labs in Taiwan. Overall, there are three factors that cause startups and technology companies to set up shop in Taipei, Lin said. The first factor is Taipei’s location. “Taiwan is at the heart of Asia …we are like a hub that connects easily with neighboring countries and Taipei is the capital of Taiwan so it’s not difficult to see the strength of Taipei,” Lin said. The next factor is education, Lin said. “Taipei City has at least 30 colleges and universities, which shows where the savvy talent comes from. “This demonstrates clearly that talent is among one of the main factors that attracts (tech giants) and foreign startups to come here for business,” Lin said. According to Lin, Taiwan’s central government, including the National Development Council and the Ministry of Science and Technology, provides pivotal support on legal issues, such as relaxing laws starting January to assist foreign talent to live in Taiwan, as well as financial support for both local and international startups. The commissioner said one of his department’s milestones was setting up the Invest Taipei Office, which is a contact point for foreign entrepreneurs and startups hoping to do business in Taiwan’s capital. 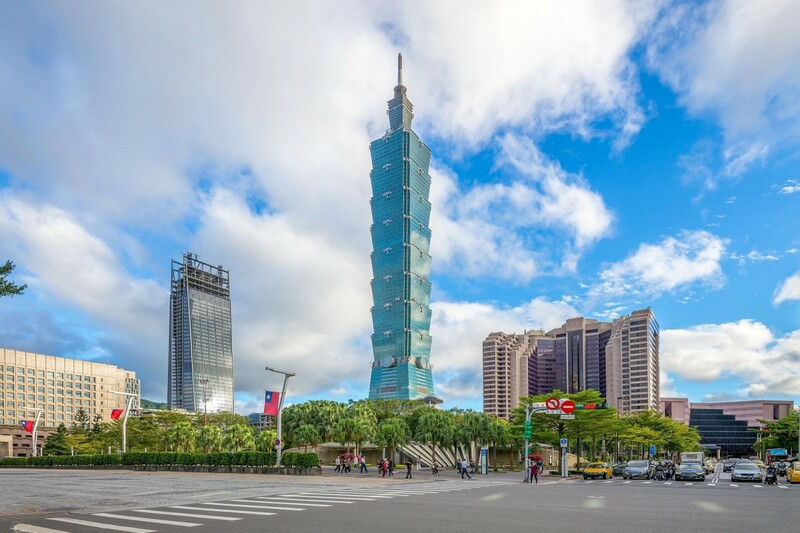 With a core mission of attracting investment in Taipei from domestic and foreign companies, the Invest Taipei Office, under Lin’s Department of Economic Development, acts as a bridge connecting public and private resources. It also offers consulting services, industrial information, subsidies, and ideas on industry collaboration, with a goal of providing professional, integrated, one-stop customized services. “The Taipei City government offers subsidies for startups, R&D, branding, angel investors and incubators, property rentals, employee salaries and vocational training,” Lin said. All this demonstrates what the Taipei City Government has done over the last three years under Lin's leadership to boost the city’s startup ecosystem. Continuous improvement of Taipei’s startup ecosystem is one of Lin’s key missions. “ Taipei City has been actively connecting with other global cities over startup ecosystems cooperation and exchanging different opinions,” Lin said. Takashima Soichiro, the mayor of Fukuoka City in Japan, signed a memorandum of understanding with Mayor Ko two years ago for enhancing cooperation between Japanese and Taiwanese startups. This was a milestone. In addition, Lin said, other cities from the U.K. and the U.S. are lining up to sign cooperation deals that would better their own startup ecosystems and give them more access to global resources. For example, Lin said, Taipei officials are keen to visit Boston-based biotechnology industries and discuss collaboration projects with potential partners. “For the next four years, I hope my team and I can make even more of an impact and create more (projects) for Taipei’s startup ecosystem,” Lin concluded.